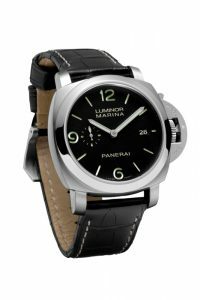 With the development of the P.9000, P.9001 and P.9002, Officine Panerai – originally a supplier of highly specialised watches to the Royal Italian Navy – made its name as one of the few international high-end watch makers which design the majority of their watch movement components in-house. This is an undertaking which Officine Panerai has completed in an incredibly short time. Few other watchmakers have succeeded in developing and making no fewer than eight of its own calibres – P.2002, P.2003, P.2004, P.2005, P.2006, P.9000, P.9001 and P.9002 – fully operational and available in just seven years, with the design for the first calibre dating back to 2002.